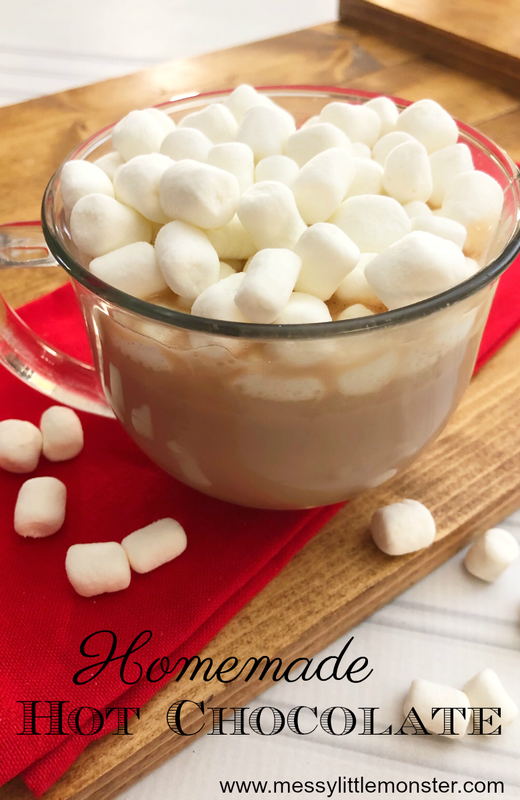 Homemade Hot Chocolate Recipe - best hot chocolate ever! As the weather starts to get colder there is nothing better then a warm homemade hot chocolate to warm you up! 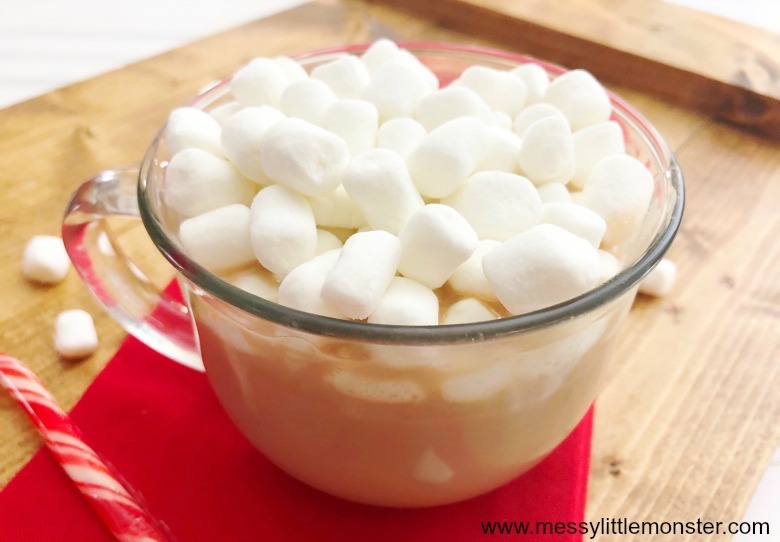 Today we are sharing a really easy and delicious hot chocolate recipe that can be made in a large pot or in a slow cooker. Our slow cooker hot chocolate is really easy as you simply add all the ingredients into one pot and wait! Follow our easy homemade hot chocolate recipe below for our best hot chocolate ever! After a cold Winter walk I love getting back home to warm ourselves up with a homemade hot chocolate, and so do the children! 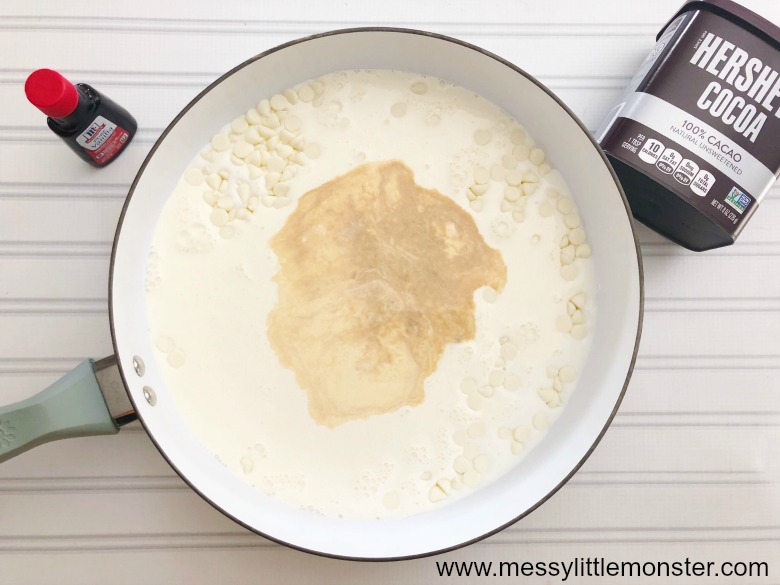 Before you leave the house quickly add all the ingredients listed below into a slow cooker and when you return an hour and a half later your slow cooker hot chocolate will be waiting for you! 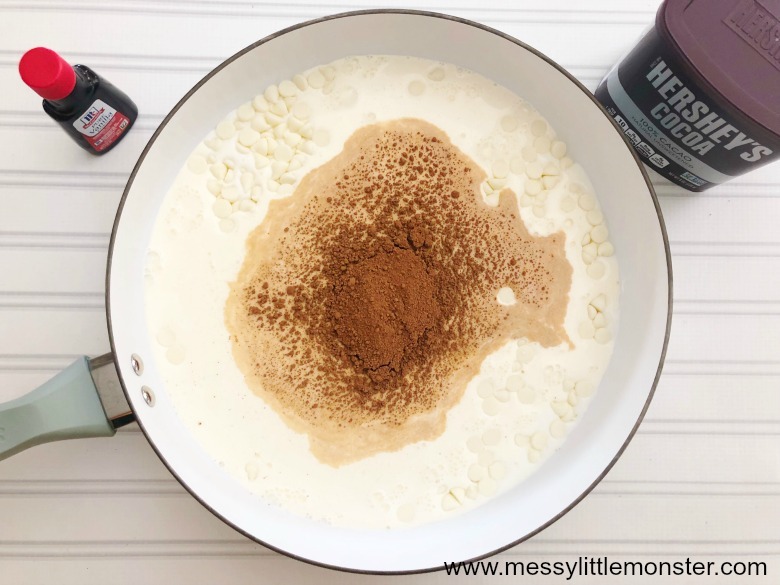 If you haven't got a slow cooker, or didn't plan ahead it's not a problem as this homemade hot chocolate recipe can easily be made on the hob too. If one homemade hot chocolate recipe isn't enough for you why not take a look at our list of cosy hot chocolate recipes! It's always good to try something new! The easiest way to make this homemade hot chocolate is in a slow cooker. Simply add all the ingredients into the slow cooker and cook on high for 1.5 hours. When you are ready to serve use a ladle to scoop the hot chocolate into a cup and serve with marshmallows and chocolate syrup. YUM! 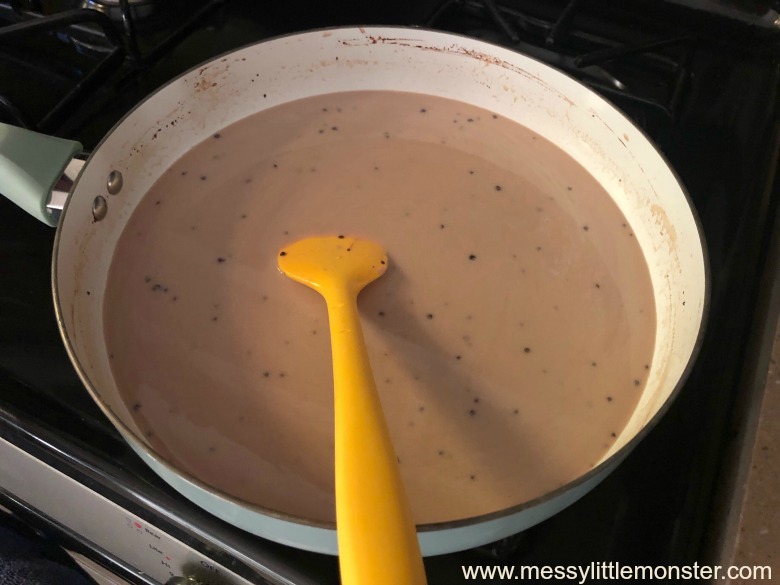 If you don't have a slow cooker or don't want to wait 1.5 hrs for your hot chocolate follow the steps below to make homemade hot chocolate on the hob. 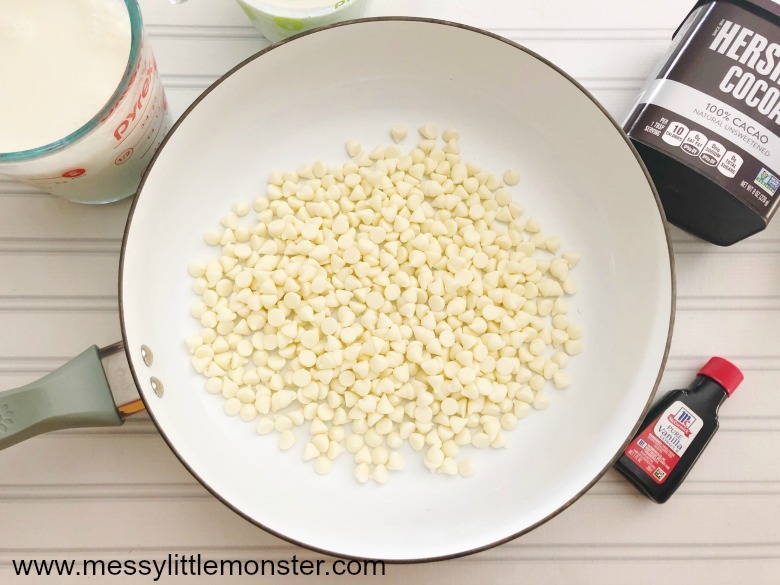 STEP 1: Add 4oz of white chocolate chips to the bottom of your pot. STEP 2: Mix in 2 cups of whole milk and 1 cup of heavy cream. STEP 3: Mix in 1/2 teaspoon of vanilla extract and 1/4 cup of unsweetened cocoa powder. STEP 4: Heat on medium heat until the chocolate chips have melted and most of the cocoa powder has mixed in. STEP 5: Pour the hot chocolate through a strainer into a pitcher to sift out any cocoa powder residue. 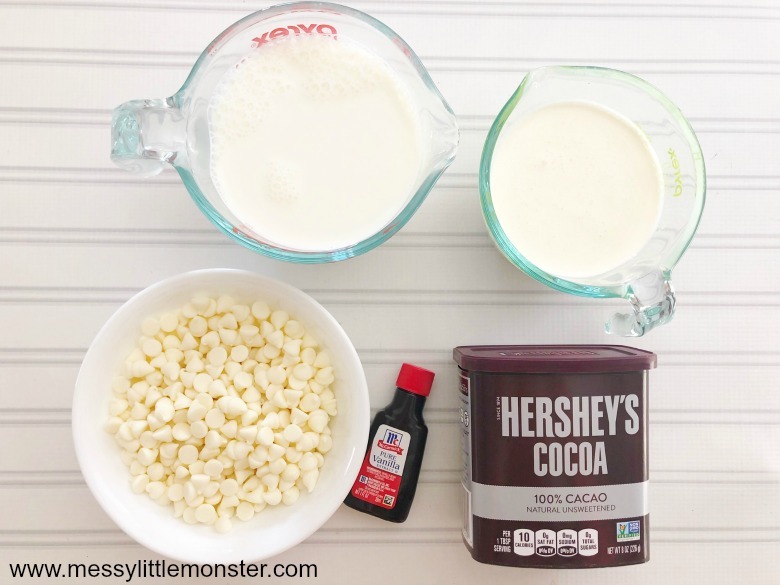 Serve your homemade hot chocolate with marshmallows and chocolate syrup. This homemade hot chocolate is so yummy and perfect for a cold winters day. 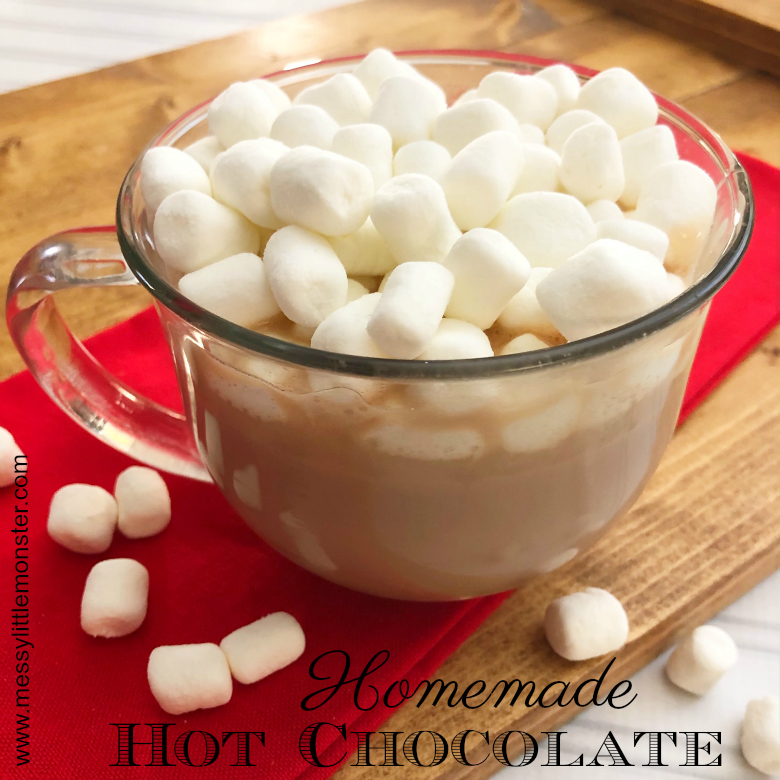 Whether you decide to make slow cooker hot chocolate or make your homemade hot chocolate on the hob, I hope that you agree that this is the best hot chocolate ever!